by Christopher McCurry Author · Steven C. Hayes Author of introduction, etc. We live in a chaotic and often unpredictable world, so it's only natural for you and your child to have anxieties. But seeing your child cry, cling to you, or even use aggression to avoid his or her own fears and worries may cause you to worry even more, trapping both of you in a cycle of anxiety and fear. You can interrupt this cycle with the proven-effective mindfulness and acceptance skills taught in this book. 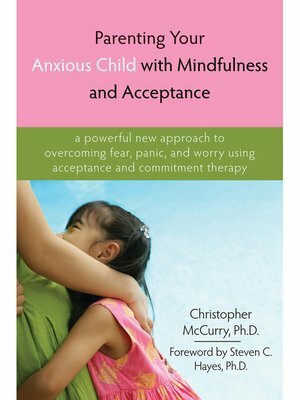 Drawn from acceptance and commitment therapy, Parenting Your Anxious Child with Mindfulness and Acceptance offers a new way to think about your child's anxiety, as well as a set of techniques used by child psychologists to help children as young as four let go of anxious feelings and focus instead on relationships with friends, learning new things in school, and having fun. You'll learn these techniques, use them when you feel anxious, and teach them to your child. With practice, you both will let go of anxious feelings and your child will find the confidence to enjoy being a kid.